Since the election of Greece’s Syriza-led government, negotiations over its place in Europe have gone terribly, with posturing on one side and annoyance on the other. An accidental exit from the eurozone has become quite likely. This is not because Greece wants it nor because its partners are set upon it. It is because Greece is running out of hope, its partners are running out of patience and the negotiations are running out of time. A fork in the road does indeed lie ahead. But the choice of direction has to be deliberate, not accidental. A looming liquidity crisis is the reason for fearing a precipitate decision. Greece’s creditors want the country to implement reforms before they unlock some €7.2bn in undisbursed bailout funds. Greece needs this money to meet domestic spending obligations and a €450m loan repayment due to the International Monetary Fund. 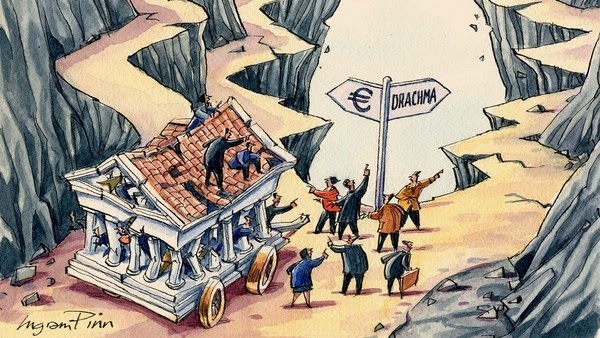 Since the European Central Bank is curbing credit from Greek banks, the country’s government could run out of money. That might trigger a run by Greek depositors. While the ECB could manage this, it might feel unable or unwilling to do so. A country is most likely to leave the euro if its government cannot meet its obligations, its banks close their doors, its economy is depressed and its politics are turbulent. Greece might soon be in this state. A chaotic exit may then occur. It is vital to avoid such a “Greccident”.